Awami League general secretary Obaidul Quader has been transferred from intensive care unit (ICU) to a cabin after the successful bypass surgery at Singapore’s Mount Elizabeth Hospital. Bangabandhu Sheikh Mujib Medical University (BSMMU) Director Prof Abu Naser Rizvi, who is accompanying the minister in Singapore, said the road transport and bridges minister was moved to a cabin on Tuesday afternoon. “He is in good health. His blood pressure and diabetes are under control,” he said. 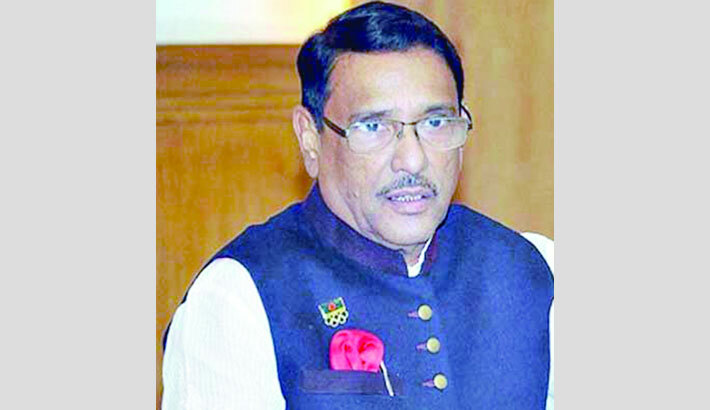 On March 2, Quader was rushed to the BSMMU in a critical condition by his wife Ishratunnesa Quader after he fell ill. He was found to have three arterial blocks, one of which was removed by stenting, according to BSMMU Cardiology Department Prof Syed Ali Ahsan. Quader was flown to the Mount Elizabeth Hospital in an air ambulance once he was stable enough to travel. The hospital formed a five-member medical panel, led by cardiologist Dr Philip Koh, to oversee the minister’s treatment. 67-year-old Quader was diagnosed with a combination of kidney and blood-related ailments after undergoing tests at the hospital. After receiving treatment in the ICU, the Awami League leader was transferred to a cabin a few days later on March 13. He was later taken to the ICU after the surgery, which was led by Dr Sebastian Kumar Swami, a cardiothoracic surgeon at Mount Elizabeth Hospital.